I have 4 beautiful puppies left out of 6. 2 boys and 2 girls. 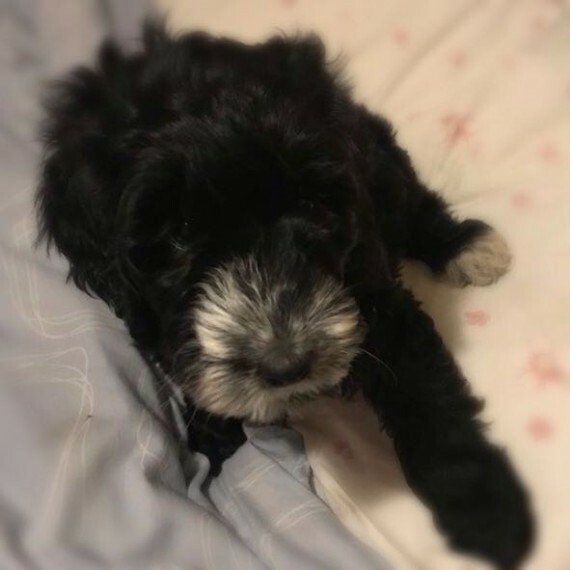 mum is a blueroan working cocker and our family pet, dad is a red Kc registered miniature poodle, he is pra tested and clear I have all his paper work and a picture of him. The puppies have all been vet checked and microchipped, and wormed every two weeks since birth. First vaccine will be done. They are ready to leave on 10/3/18 They will leave with copy's of dads papers, microchip paper small bag of food and a scented comfort blanket.